Get ready for summer with Absolute Comfort’s 17 Point Air Conditioner Check and Tune-Up! Get the Most Value From Your Heat Pump or Central Air Conditioner Well operating heat pumps and air conditioners can be your best friends during the summer month, while, in contrast, a poorly operating system can be the cause of much heartache. Treat them well and keep them running at top efficiency, therefore, they’ll keep you cooler and more comfortable at a lower operating cost. You’ll also help prevent equipment failures, as a result, extend the life of your equipment. It’s that simple! 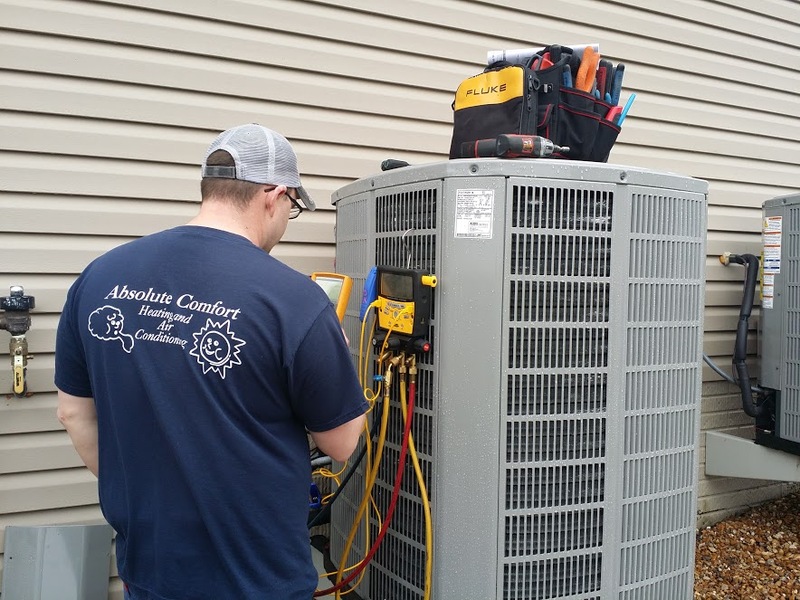 The best way to ensure efficient operation of your central air conditioning unit is with a tune-up at the start of each cooling season, additionally, issues may be discovered before failure. A tune-up by a service expert can improve the efficiency of your unit by as much as 20 percent, as well as lengthen its performance life.